The UAE’s construction industry has not been impacted by the recent introduction of 5 per cent value-added tax (VAT) and it will witness over 10 per cent expansion in 2018, the second-fastest growth rate in the world, according to industry executives and research reports. The industry executives believe that Expo 2020 is not the end for the construction sector. Rather they are pinning hopes on multi-year plans such as Vision 2021 which would drive the industry in the post-Expo 2020 era. “I see good potential for the construction sector. I would say VAT has not impacted us that much; however, there is a pressure on cash flow but people are getting used to it,” said Ravi Murthy, chief financial officer, Arabtec Construction. Murthy attributed the strong growth potential for the industry to the hosting of Expo 2020 as well as growth in the hospitality and healthcare industries, with a massive inflow of visitors and medical tourists. “Dubai has won the bid to host the World Chamber Congress which is coinciding with Expo 2020. More than 14,000 chambers from 100 countries will attend the event. If 10 per cent of those chambers do business, the requirement for hotels, infrastructure, road, entertainment, leisure and shopping is going to grow substantially. The UAE target is half a million medical tourists. As compared to the West, they are in the stage of implementation; there are about 43 hospitals with more than 100 beds, which is not enough to cater to the needs. There is a big potential for healthcare. Today, we have Dh740 billion worth of construction projects under way,” he said. Matthew Bate, CEO, Engel & Volkers, told Khaleej Times that there was no impact of VAT and first quarter of 2018 was its biggest operating quarter during the last three years. “VAT didn’t really have any impact because five per cent is negligible, considering some of the rates that exist in a lot of economies. With the way VAT works with input and out taxes, it has got very little effect on developers. I think VAT probably if affects anything is it is from cash flow position. But if you got a nice sustainable business, then VAT has little impact,” he said. He pointed out that the massive construction activity is taking place in Dubai World Central, Healthcare City and Dubai Investment Park. Atif Rahman, director and partner, Danube Properties, said the impact of VAT on the construction sector has been very minimal. “Most contractors booked their purchase in advance. However, the industry has the ability to absorb the additional cost. The impact of five per cent VAT is more psychological as the increase is not a huge amount. In other countries, VAT ranges from 10-15 per cent of the bill amount,” he said. 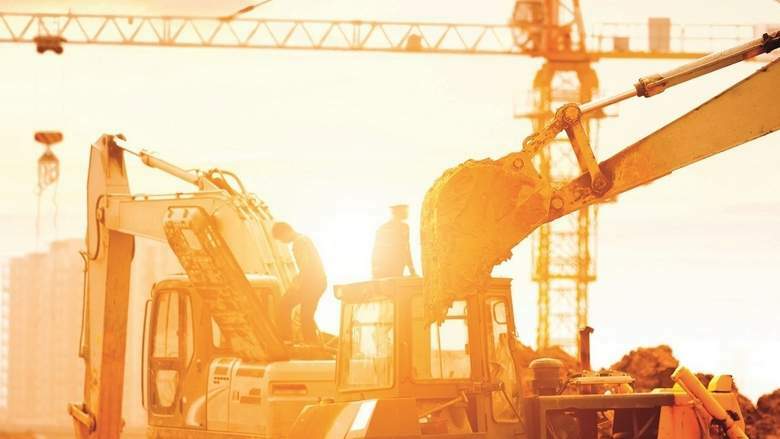 “What affects the construction sector more is the price fluctuation of the building materials – such as cement, steel rebars and wood products, in addition to the six-month deferred payment by the clients. Payment delay multiplies our woes, more than VAT,” Rahman added. According to global consultancy Arcadis’ latest report, the upcoming Expo 2020 should lead to an increase in construction activity as the Emirate prepared for the event and the legacy delivery of District 2020. In Abu Dhabi, there is a continued focus to accelerate diversification and shift dependence away from oil revenues, providing opportunities for the private sector to create wealth. It forecasted that the UAE construction will be the second fastest growing market in the world in 2018 with 10.2 per cent after Qatar at 15 per cent. The study predicted that Abu Dhabi and Dubai were among the 20 most economical cities for construction costs, cheaper than GCC cities such as Jeddah and Riyadh. Another study by Marmore Research has predicted that the GCC will need 6.16 million housing units by 2022, led by Saudi Arabia (3.96 million), UAE (0.98 million), Kuwait (0.47 million), Oman (0.4 million), Bahrain (0.2 million) and Qatar (0.15 million). “At presence, there is an oversupply of real estate assets across all sectors in parts of Dubai and Abu Dhabi, following the completion of several new master planned developments. This may result in a need to consider change of use, refurbishment, or the disposal of older buildings,” the report said.